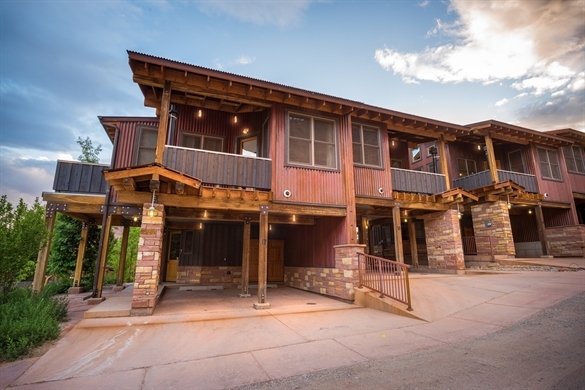 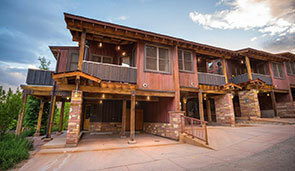 Unit 22 is the highest Townhouse at the Ranch. 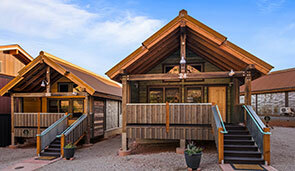 Easy access to meadow, pool and spa. 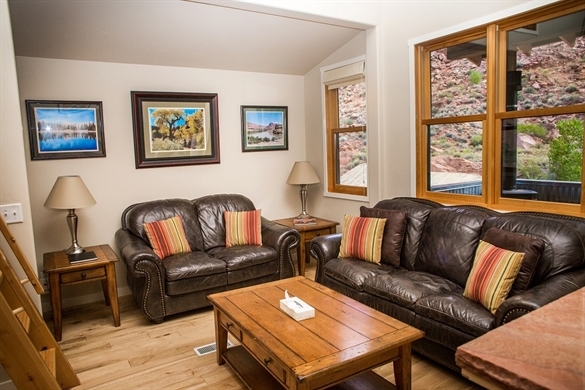 It is a very stylish and comfortable 2-bedroom with loft space as well as two full bathrooms. 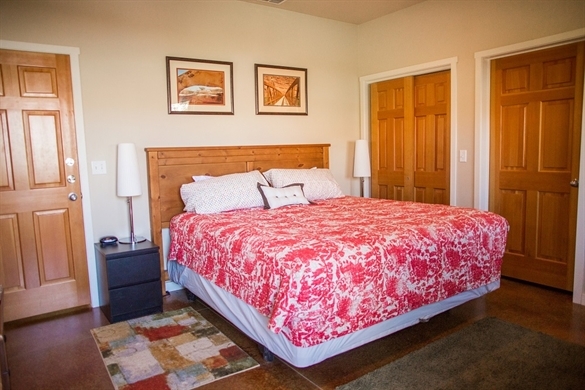 Each bedroom has a king bed and the loft has two twin beds. 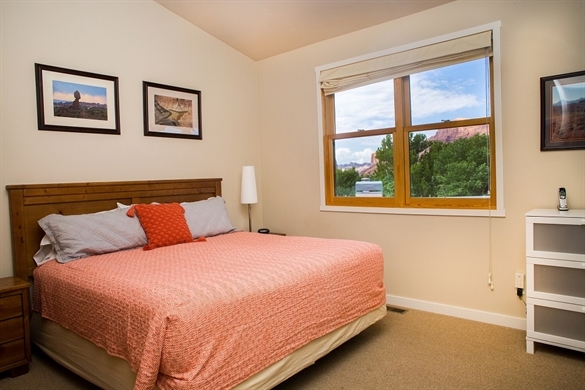 Unit 22 is on two levels, with two master bedrooms, one on the first and one on the second level. 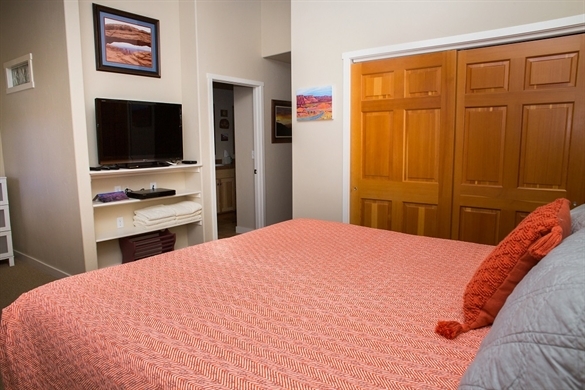 The first level bedroom has a private bathroom with full bath-shower, large private deck and two entries – one separate and one interior. 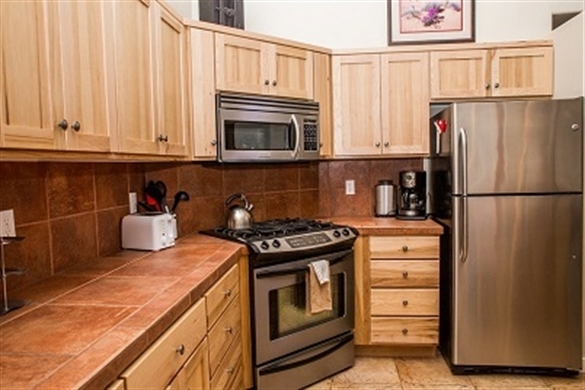 It has a flat screen TV, microwave, mini-fridge, coffee-maker and walk-in closet. 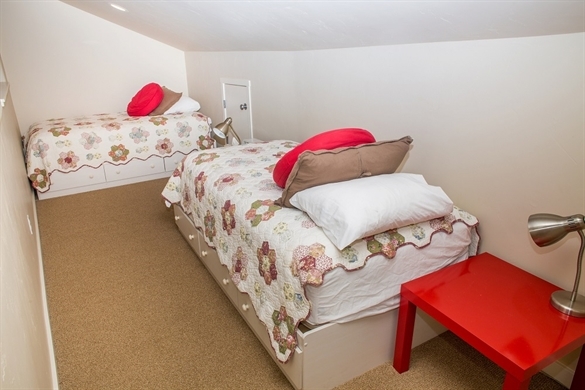 The upstairs bedroom has a Juliet balcony, large Jack & Jill bathroom shared with the loft and living area (private if closed off). 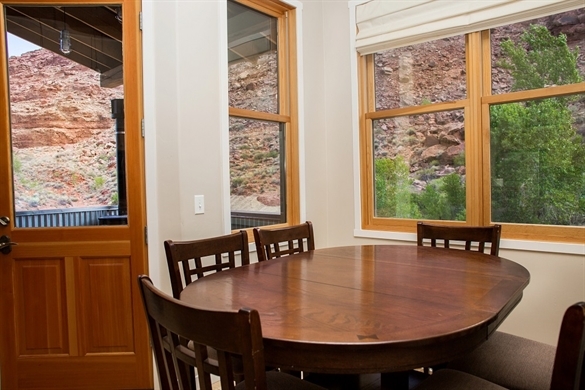 The open plan living/dining/kitchen room is on the second level, with an attached deck. 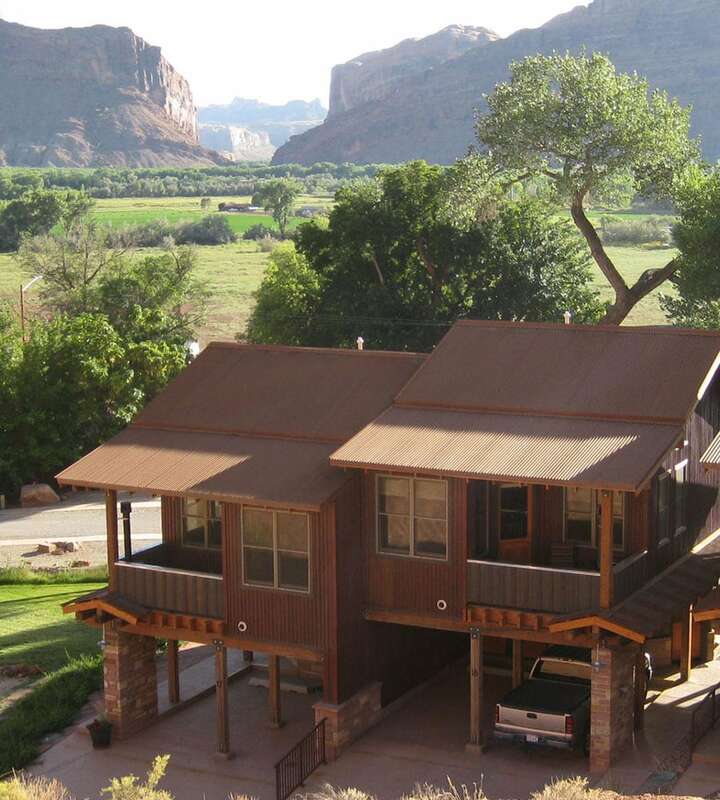 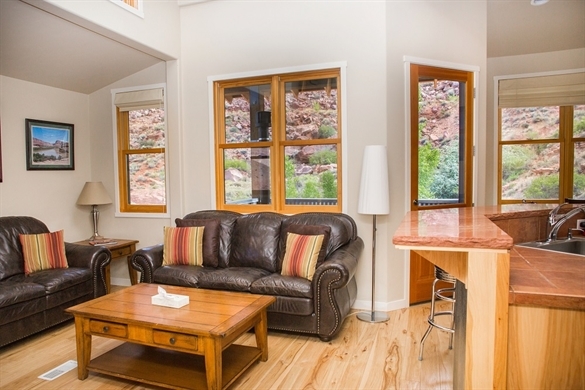 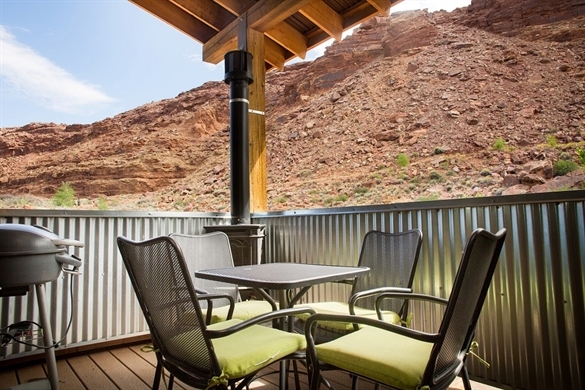 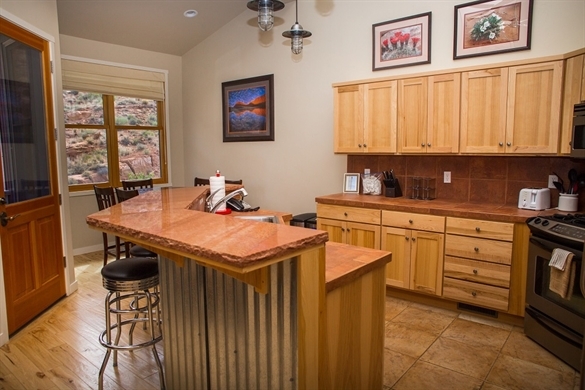 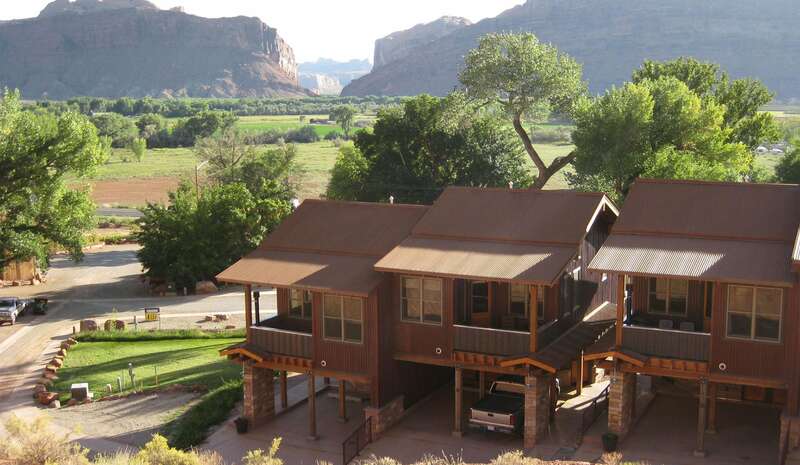 The deck has a spectacular view of the red rock cliffs, a BBQ grill and gas fireplace. 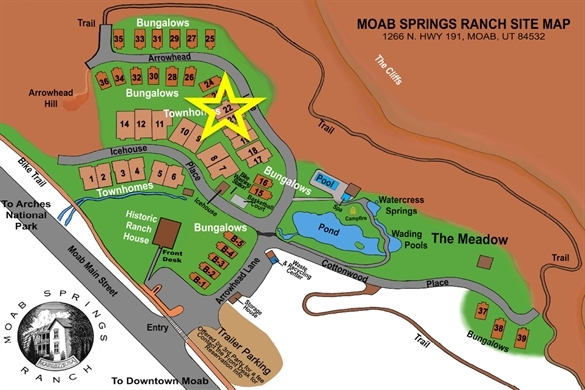 Unit 22 has two attached covered parking spaces. 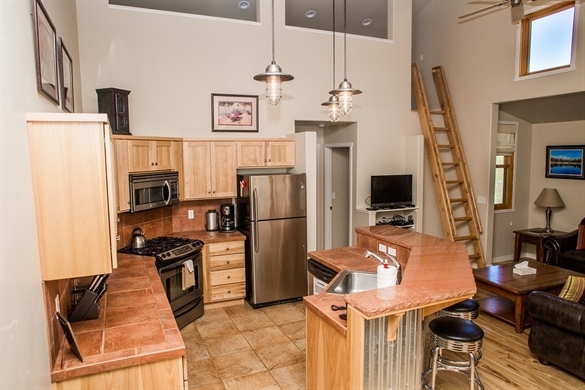 A stacked washer-dryer is conveniently located in the entry area on the first level. 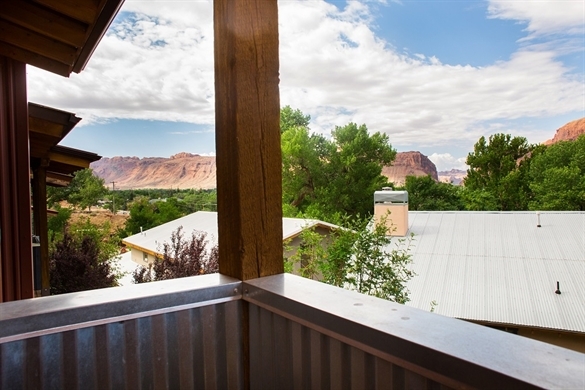 Unit 22 is the highest Townhouse at the Ranch the views are spectacular! 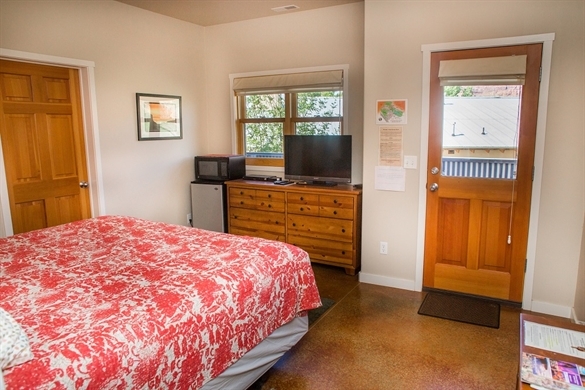 Two-nights minimum stays are required in Townhouses.